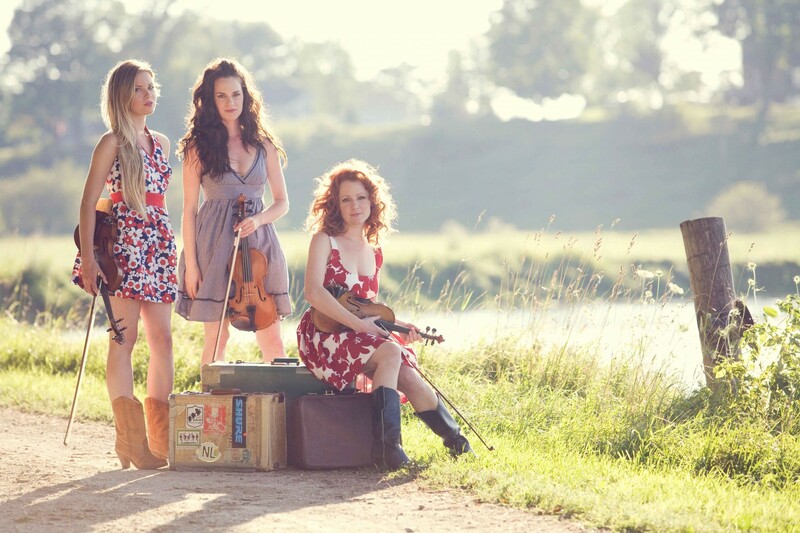 Three women take to the fiddles and vocals in the newly-formed Belle Starr. The trio takes its name from an Oklahoman outlaw, a rare female bandit in the Old West, however, the band is a Canadian creation. Each woman has taken her own respective path to the band; Kendel Carson grew up in Alberta and Victoria playing in symphonies and Celtic bands, Ottawa native Stephanie Cadman is not just a fiddler, but an experienced step dancer, while Miranda Mulholland of Guelph, Ont. also has Celtic music experience in addition to her time with the well-known indie band Great Lake Swimmers. The EP is the women’s first release as Belle Starr and a step in a new direction. While all have some Celtic background, The Burning of Atlanta is firmly in the western genre. Covering songs by Dolly Parton and Fred Eaglesmith will do that. In fact, all the songs are covers. While the fiddles are prominent at points, the music is filled out with a number of other musicians. All the women provide vocals though, harmonizing well. The EP starts off in a slightly strange place with a version of the Talking Heads “This Must Be The Place,” but it works, as much a testament to David Byrnes’ song-writing as Belle Starr’s re-interpretation, replacing electronic sounds with fiddle and giving the post-punk song a fuller sound. From there the pieces are much closer to the originals, as they cover songs originally down as folk/country/roots. While “Summerlea” is a great sad cowboy song and “Jolene” is yet again done well, there isn’t much to differentiate Belle Starr from a variety of similar acts. While press releases and advertising media tout them as great fiddle players, the EP lacks this to a certain extent. With the songs’ standard structures, there isn’t much solo jamming, which would seem to be something they would want to play up. The vocal harmonies are great, but when nearly every photo features the band members holding fiddles, you might expect a bit more. I wouldn’t spend money on a studio album, but it would be interesting to see Belle Starr play live where those fiddle skills might be on display.